Many more people are now wanting to grow their own fruit, vegetables and herbs, giving them fun, satisfaction and peace of mind about where their food is coming from. 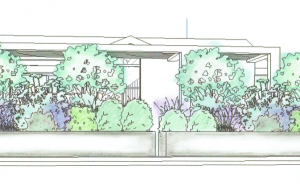 Last autumn we created a design in the style of a kitchen garden, which combines structured, evergreen planting with soft perennials and a variety of edibles. Here you can see that the thyme and chives are now blooming, and sit happily alongside grasses and geraniums. Beans have just been planted around the wicker obelisk and the courgettes will soon grow to fill the last remaining gaps. This week we have been working on the design of a new roof terrace in central London. 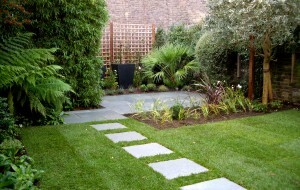 This image shows how the planting will look when the garden is completed. Watch this space for more images as the project progresses. 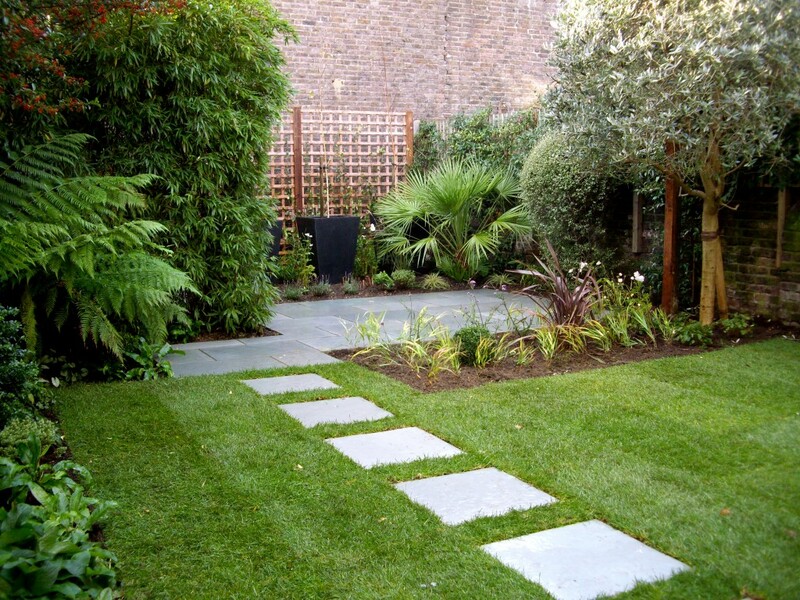 Our clients in Kentish Town wanted to update their family garden and create a more grown-up space in which to relax. We have redesigned the garden to give them a space in which to while away the hours, amongst the architectural plantings of tree ferns, phormiums and chamaerops humilis. Look out for more photos of the planting as it comes to life in the spring.